And that makes two. I fell into a massive reading and reviewing rut - those were read back in July. But, I'm hoping I'm back. Just finished #16 ... "A Boy from Botwood: Pte. A.W. Manuel, Royal Newfoundland Regiment, 1914-1919"
Carol Shields Unless - 11/13. 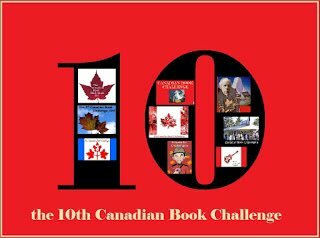 I'm now at 6/13 - I read Wenjack by Joseph Boyden. Now that I'm on Christmas holidays and have time for non-school reading, I've assembled a stack of Can Lit to devour over the next month! Forgot to post The Bologna Cookbook earlier this month. That and Little Sister makes 3/13. A little behind where I usually am in other years but will catch up! And now up to 7/13 with Secret Path, the Gord Downie / Jeff Lemire collaboration. That makes 6/13 read and reviewed for my indigenous writers' mini-project. Good luck to all those who are thinking that the holidays will bring extra reading time; they have the opposite effect on my reading stacks! Wow! I completely missed this news. And up to 8/13 with Angel Catbird by Margaret Atwood et al. Yellowknife brings me to 13/13! First time I've made it to 13 in December. I think this may be the first novel I've reviewed set in the North. I have also made it to 13/13 by December. The 13th, Journey to Labrador by Bernie Howgate, is non-fiction. I missed one in July. I'm up to 16/13. Sorry if this is a double comment. I was signed in as a my daughter. It seems everyone did, Pussreboots. ;> I immediately thanked John but have plenty of enthusiasm to go around: congratulations to you and I for an autographed, cat-related, mystery prize! It was extra fun to win for my birth month! I am at 22 Canadian books. I read non-fiction from our country all the time: 3/5 of my entries here. Obviously not "That's What Bears Are For" and "Silence For The Dead". I don't mind being first either.... to wish everyone: MERRY CHRISTMAS! 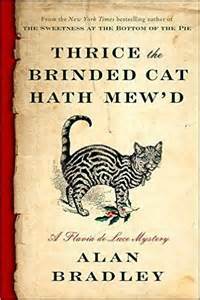 9/13 for me - I finished Yiddish for Pirates by Gary Barwin just before Christmas but just posted my review now. A Boy from Botwood gives me 4/13. And what will probably be the final book review of the year brings me up to 3/13. Happy new year all. I am at 127 books read and reviewed. I feel great about that! I set a goal of reading 20 books per month starting July 1st. Well, I have exceeded that by 7 books! Happy New Year all! See you in 2017 for more reading fun! Happy New Year John! You are the best! I not only read this book but I wrote it. My first published work. My first ISBN number. Great way to finish 2016. This makes it 6/13 for this challenge.